The documents located on this page are not the official versions. For official versions please refer to the location identified within the notice. 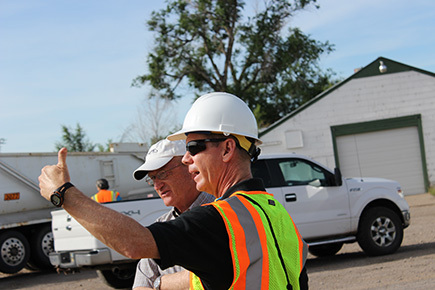 Sign up for Email alerts for notices on certain permit actions, closure and cleanup decisions, site management plans, rule changes, and Utah Waste Management and Radiation Control Board agendas, as well as public comment periods and public hearings, if applicable. Comments can be sent by Email to: dwmrcpublic@utah.gov. The subject line for Email comments should state “Public comment for” and then the event title. For example, “Public comment on Holden Town Draft Permit.” All documents attached to an Email should be submitted as ASCII (text) files or in the PDF format. For further information contact Carlee Christoffersen, Program Contract Coordinator, Division of Waste Management and Radiation Control, Department of Environmental Quality, (801) 536-0233. For those individuals needing special assistance in accordance with the American Disabilities Act, please contact the Department of Environmental Quality, Bureau of Human Resources at (800) 346-4128 or 711. We welcome your comments and suggestions on these pages. Please contact Deborah Ng: (801) 536-0218.